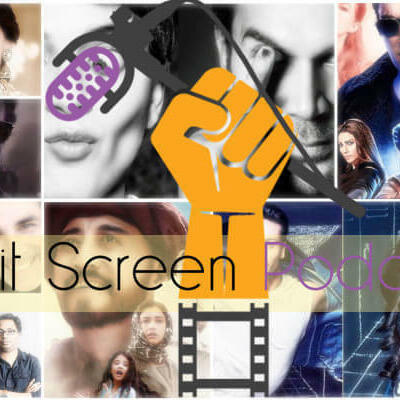 On this episode of the Split Screen Podcast, host Shah Shahid is joined by returning guest Alisa River, aka Bollywood Newbie, as part of the monthly Bollywood news roundup of the previous month, as well as looking at trailers of new movies releasing in June 2018. The wedding of Neha Dhupia to Angad Bedi. Amyra Dastur cast in Rajkumar Rao and Kangana Ranaut starrer Mental Hai Kya. Student Of The Year 2 motion posters released and why?! Arjun Kapoor’s (aka, the loose Kapoor) next movie is with Raid & No One Killed Jessica director Raj Kumar Gupta. Hera Pheri 3 finally has a release date in 2019, with the original cast! The trailers for Bhavesh Joshi Superhero, Sanju & Veere Di Wedding were discussed in episode 41 of Split Screen Podcast. Rajnikant’s latest movie Kaala releases June 7. Race 3 finally releases June 15.